Lisa Paglisotti is confirmed by Judge LeRoy McCullough. Lisa Paglisotti, a seasoned public defender, was sworn in as a King County District Court judge on Tuesday, May 24, by Superior Judge LeRoy McCullough. She was appointed to fill the vacancy created by the appointment of District Judge Johanna Bender to the county’s Superior Court bench. Judge Paglisotti brings a rich background in criminal justice to her new position. She has worked as a public defender for more than 22 years and in nearly every practice area. 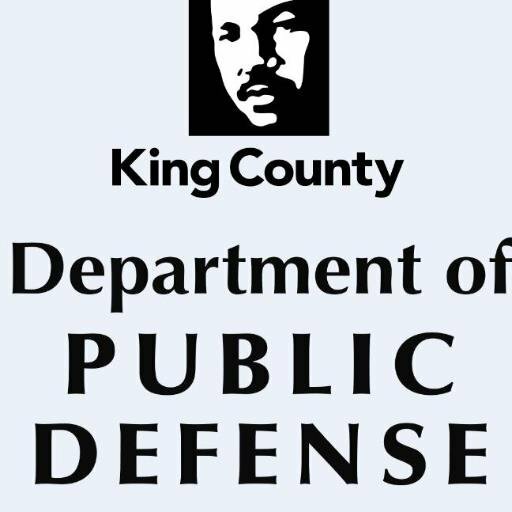 Most recently, she handled felonies in Kent for the Society of Counsel Representing Accused Persons, or SCRAP, a division within the King County Department of Public Defense. Before becoming a public defender, she worked as a juvenile probation counselor and juvenile corrections officer. Judge Paglisotti was appointed to the bench by the County Council on May 9 and will be required to stand for election this November. It appears she’ll run unopposed. The filing period ended on Friday, May 20, and no one filed to run against her. She is a graduate of the University of Washington and Seattle University Law School. Lisa Paglisotti will be missed by the Department of Public Defense and her many colleagues at Society of Counsel, where she was a strong mentor to young attorneys, said Tom Griffiths, the division’s managing attorney. “She had a great ability to stay calm in tough situations,” he added. May 18, 2016 in DPD News. Judge Paglisotti is a wonderful addition to the King County District Court bench. She has truly “hit the ground running”. The people of King County are well-served by her knowledge, experience, demeanor and fairness.